The following is a guest post from freelance writer Cliff Barre, who, along with his wife Tiffany, travel the world as environmentally responsible tourists, documenting amazing green initiatives along the way. Those of us concerned with conservation and green initiatives often cringe when we see new developments springing up. In the past, new developments nearly always meant a glut of natural resources would be wasted to create some shopping mall, conference center or other amenity that may or may not be successful for more than a couple decades before crumbling into yet another monument to human excess and waste. Today, partially due to eco-friendly incentive programs available, many developers are beginning to make more eco-friendly choices when proposing and building new developments. Take Chicago, for example. That’s a city gaining lots of green credibility, including some fine instances of creative reuse. The Museum of Science and Industry, the city’s main Veterans Affairs Medical Center and several other major buildings are using natural gas-based cogeneration plants. In such plants, the gas is burned for power as you might expect. You won’t find many exhaust vents for the byproduct steam though. It’s piped back through those buildings to heat their interiors instead. That’s no small thing during those Chi-town winters! If that doesn’t give you the warm feeling of sustainability done right, consider that each cogeneration plant is twice as efficient as conventional power generation systems. Destiny USA, a large shopping mall in Syracuse, NY, has implemented a number of green initiatives. One of the most notable is the establishment of this development on a previously developed site. By reclaiming previously developed land, the developers of Destiny USA avoided encroaching on prime farmland, undeveloped natural habitats and other valuable natural resources. Additionally, the development of Destiny USA has, by careful attention to eco-friendly options, actually improved the quality of the land on which it is built. The most eco-friendly developments in our country incorporate plans for sustainability beyond initial development. Again, Destiny USA scores highly. Planners who chose the site location ensured that it would fall along regularly traveled public transportation routes. While most visitors can take public transportation to Destiny USA, who is LEED Gold Certified by the U.S. Green Building Council, those who choose other options are encouraged to find eco-friendly transportation. The location boasts 200 convenient bike racks as well as showers and changing rooms for employees who choose to bike to work. Those with electric cars can take advantage of prime parking equipped with charging stations. When a plan for using empty roof space in San Francisco to generate power for the city was first proposed, critics scoffed that Fog City would never get enough sunlight to make the green initiative a success. However, photovoltaic cells that produce electricity don’t need full, direct sunlight. In 2004, 60,000 square feet of photovoltaic cells were installed atop San Francisco’s Moscone Convention Center. The success of this project has led to installations on a number of other buildings including libraries and municipal buildings. 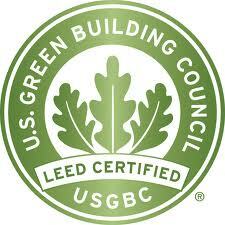 Like Destiny USA, the Moscone Convention Center has become LEED Gold Certified. For San Francisco, going green has become a mere matter of letting the sun continue to shine. As noted earlier, these are only a few of the many green initiatives being incorporated nationwide. While no single initiative is enough to reverse the ongoing concerns of global warming and carbon emissions, each initiative gets us as a human race closer to the ultimate goal of true sustainability for life on this planet.